With the latest technologies of Internet, VoIP Calling (Voice Over Internet Protocol) is becoming popular among smartphone users. VoIP calls is a perfect replacement for the voice calls made through your network provider. In some cases the VoIP calls are much cheaper then voice calls. VoIP calls are free to make they just only require a Wi-Fi or 3G/WCDMA connection to transfer the voice data from one phone to another via a SIP account. SIP Trunking stands for 'Session Initiation Protocol' which is a signaling communications protocol mostly used for transferring voice and video calls over IP networks. A SIP account can be easily setup on your android phone and it doesn't require any app like Google Voice, Google+ Hangouts or Skype. 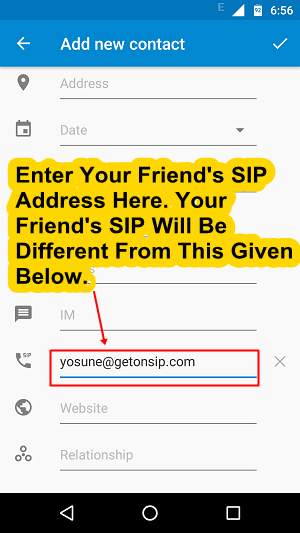 You can obtain a free SIP account from free SIP account providers on the internet like 'getonsip.com'. With a pbx SIP account you can make unlimited free cheap VoIP calls/internet calls over IP networks. But you have to only pay for the 3G data and on Wi-Fi it is totally free and you can make VoIP calls worldwide like voip Canada, UK or USA. So in this tutorial I am going to teach you how you can setup free internet calls and voip phone service for business calls on your android phone without using any app like Google Voice, Skype or Google+ Hangouts. I am using Sony Xperia M and Xperia Z for internet calls but it will work on all phones like Samsung, Motorola , HTC. 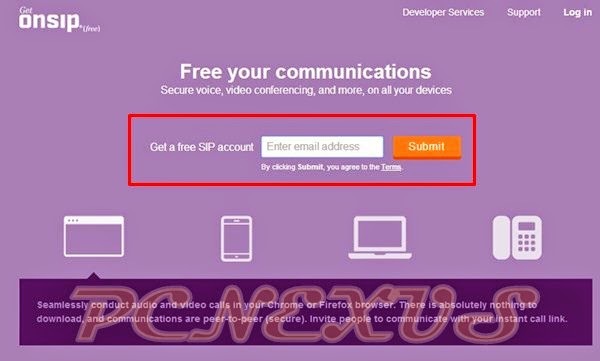 Before you can make any VoIP calls from your phone you have to setup a free SIP account. Follow the steps below to create one. 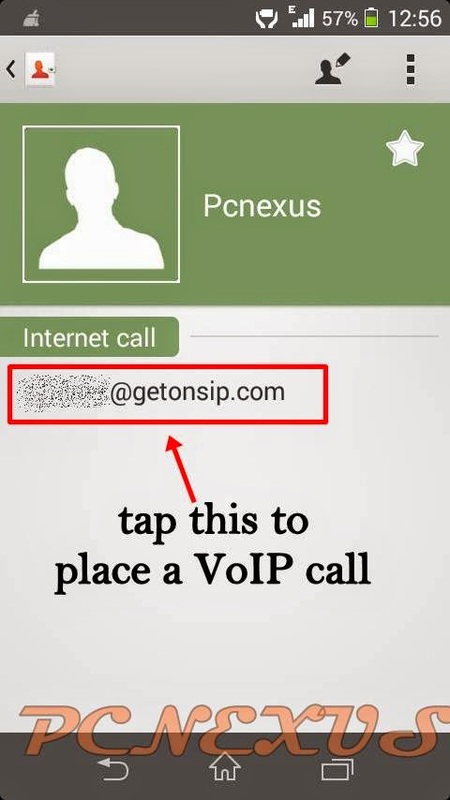 Go to www.getonsip.com free VoIP service allowing you to make phone to phone voip calls. Enter your email and click 'Submit'. 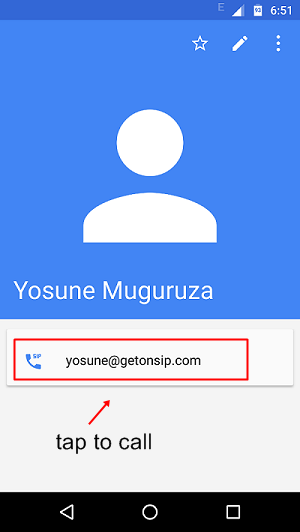 Now getonsip will send you a verification link on your email address. Just click on this link. It will take you to registration page. Here enter your details like full name, username and password. Now a popup will open click 'Okay, got it'. Now click 'View Profile'. It will give you details about SIP address, domain, SIP password, Auth Username and Outbound SIP Proxy. Note down all these things on a paper. Now you have successfully created a free SIP account for VoIP calling. Now we setup the SIP Trunking account on your android smartphone. 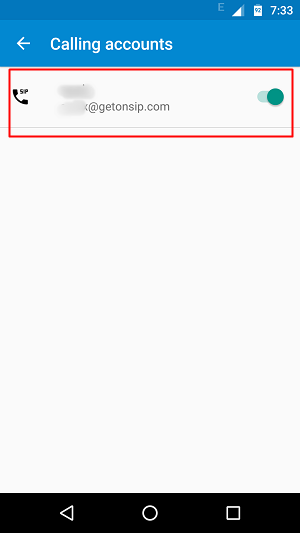 Enable mobile data and open 'Settings' and move to 'Call settings'. 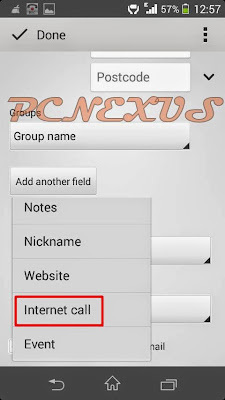 In 'INTERNET CALL SETTINGS' tap 'Use Internet calling' and choose 'Ask for each call'. Now tap 'Accounts'. 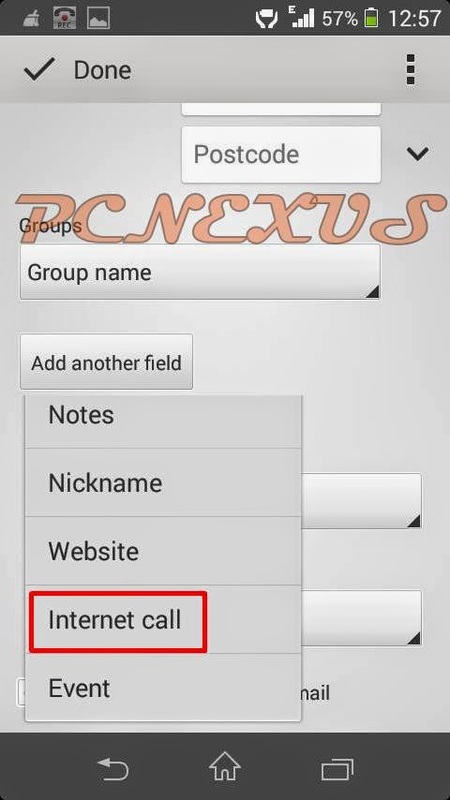 Put a check on 'Receive incoming call', this option will let you receive VoIP calls. Then tap 'Add account'. Username: your SIP username that you wrote on paper. Password: SIP password that you wrote on paper. Now tap 'Optional settings' and enter the following data. Authentication username: enter 'Auth Username' that you wrote on paper. Finally tap 'Save'. Now you will see under your SIP account 'Primary account. Receiving calls'. This means that you have successfully created and setup SIP account on your android phone. VoIP calls can only be made by dialing SIP address from the phone. The default caller does not support typing letters so we have to save the VoIP contacts in phone book as internet calls. Open Contacts and create a new contact. Enter the 'First name'. Now scroll down and find 'Groups'. 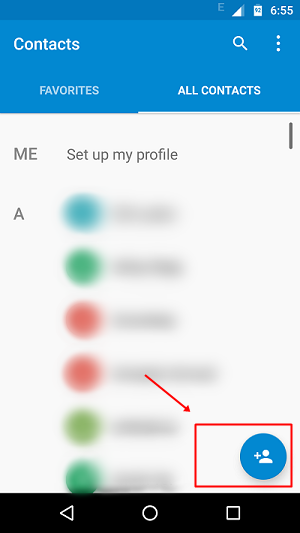 Below 'Group name' field tap 'Add another field'. From here choose 'Internet call'. 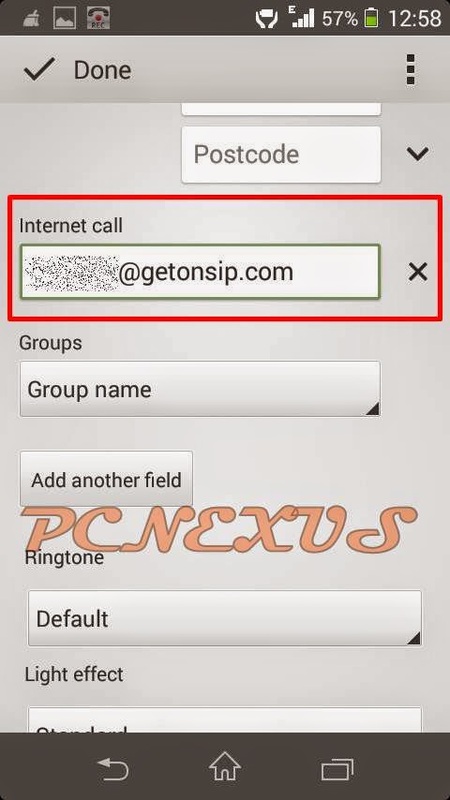 Now enter the SIP address of other person in Internet call field it is like 'username@getonsip.com'. Finally save the contact and tap the contact the contact to open. 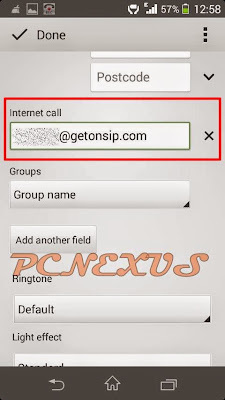 Now tap the address below 'Internet call' for VoIP calling. You can enable VoIP call recording to record VoIP calls on android by using any call recording app. You can also use this as voip phone service for business. You can only receive free VoIP calls only if the caller has a registered SIP account on his phone and data is enabled on your phone. Note: The above tutorial can be applied on Sony Xperia devices. 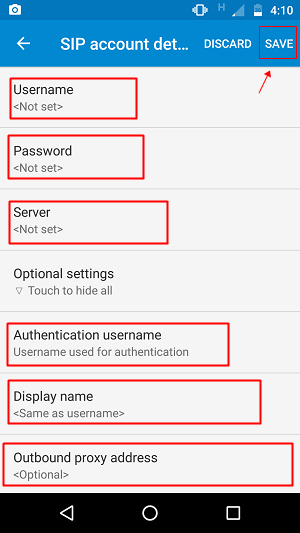 However if you want to setup SIP account on android 6.0 Marshmallow and android 7.0 Nougat then follow the tutorial below. The tutorial below can be applied to android smartphones running stock Google android OS like the Nexus devices, Motorola phones (Moto G3, Moto G4 Plus, Moto X Play, Moto X Style, Moto Z). However, the SIP setup is same for all devices the only difference is the location of SIP settings. 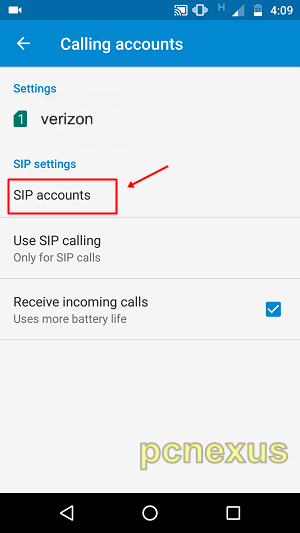 SIP settings can be in "Call Settings". 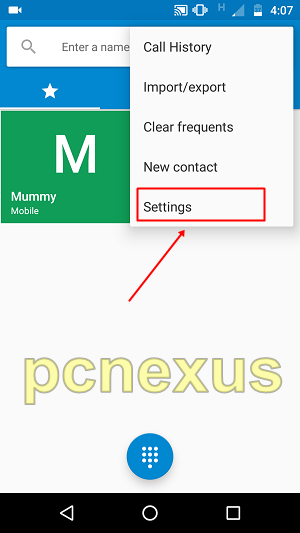 If they are not found here then they can be accessed through the phone dialer app settings in most like Nexus and Motorola. 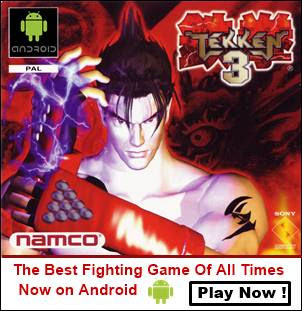 The tutorial below has been tested on Motorola phones like Moto G4 Plus, Moto X and Moto X Style. Open the dialer app and tap the menu icon on the top right corner just next to microphone icon. In this menu tap "Settings". 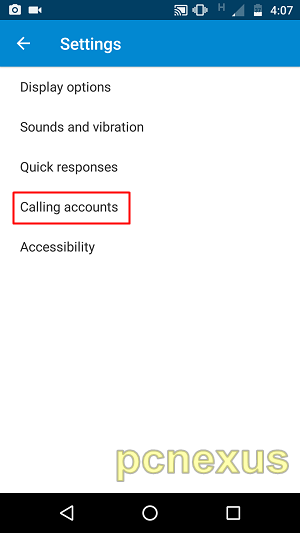 Then select "Calling accounts" by tapping it. Here you will see "SIP settings". Tap "SIP accounts". Now a settings page will open. Here you will need to enter your Username, Password and Server. Now tap "Optional settings" and enter your "Authentication username", "Outbound proxy address" and "Display name" (enter your desired name for this account). These credentials can be found in your getonsip account that you created above. Now go back to "Calling accounts" and tap "All calling accounts". Make sure that your SIP account is enabled here. If your SIP calling account is not enabled on your phone then while making a SIP voice call you will get an error stating "Service not supported". You can also use this service as business voip telephone. You can also watch this video tutorial below for setting voip on your phone. Since there is no way to dial a SIP address just like a phone number. So you have to add that contact in your phonebook to make Wi-Fi calls. On your phone go to "Contacts" app and tap the blue button to add a user. Enter the name of your contact. Then tap "More Fields". Scroll down and find SIP. Here enter the SIP address of your contact. It is like "user@getonsip.com". Tap the "Right" icon on top to save the contact immediately. To initiate a call go to the contacts app and find that saved user. Tap the user's name and finally tap the "SIP address" below his name to start a call. Make sure either Wi-Fi or cellular data network is enabled. Once you initiate the call then you can find the calling history in the dialer app. From here you can contact the same user again and no need to open the contacts app again. 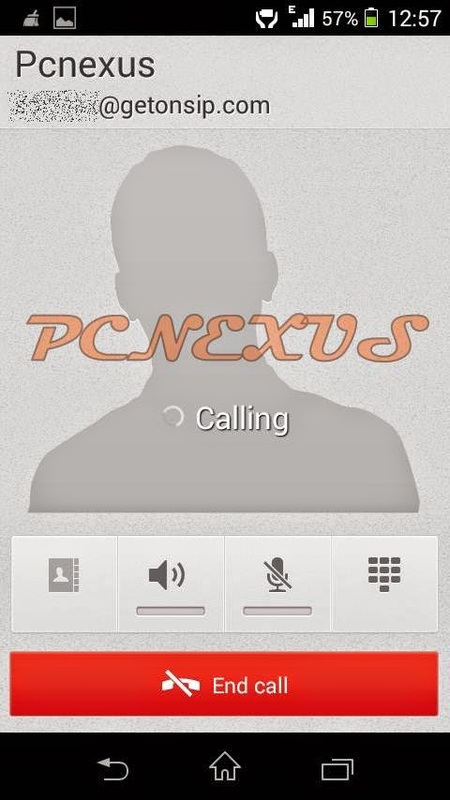 The voip android calling interface is just like the normal call. You have successfully learned to setup SIP account and enabled VoIP calling on your android without using Google Voice and Skype. If you liked the article please share it. i have samsung galaxy s3. and i have sip account with freephoneline.ca. i try to registered with csipsimple. but never succeeded to make calls. could you pls help me to setting things. My call is getting disconnected immediately. can't hear voice. what was the problem of that? Slow network may be a problem.. Whenever I click on save it shows transaction timeout error. I am having account on getonsip. PLEASE HELP ME...!!! please check your SIP address, username, SIP password and domain. Hello Siddharth, I have tested the above procedure and found that it is working correctly. I would suggest you to post screenshots of this problem. 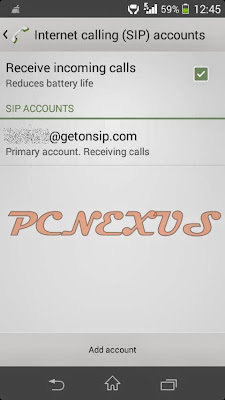 Do one thing take step by step screenshots while configuring the SIP account on your phone and post the pics at facebook.com/pcnexus1 or on Google+ profile. Can i have someone's username so that i can call to verify weather its working or not..
You can use another ID on another android phone to check. This service is internet based. So the receiver will only receive the call when the data or Wi-Fi is activated on his/her phone. I have to look upon this. Wait for my article update. Can I use SIP A/C as a substitute for jio4gVoice App? I have a Jio 4g SIM on a non-VoLTE device. I have to use Jio4gVoice app for phone-call. No, the SIP account can only be used to call SIP numbers and not just any number. However you can find some paid SIP calling providers. According to TRAI regulations we can't just use SIP account to call any number.